In Eden Falling… with the small pockets of civilization left, music is used to bring back some semblance of the old world. Your band’s music can be used on the radios in settlements, be featured on posters and even possibly have a video seen in bars around the settlements in the game! Please note: if selected, the amount of band content that will be incorporated into our game is dependent on the amount of promotion that Razor Edge Games receives from you. Interested bands can fill out the required form at http://razoredgegames.com/auditions/. When sending in a submission, Razor Edge Games requires a band’s contact info, the genre of music, and a compressed file demo track. The demo track must be in WAV or MP3 format, be under 20MB in size, and be a minimum of one minute in length so that the team can get a genuine feel for your music. When submissions close on April 30th, the Music team will begin reaching out to selected candidates with more information. We at Razor Edge Games hope to hear from you and have you as our opening act soon! Interested in learning more about Eden Falling…? 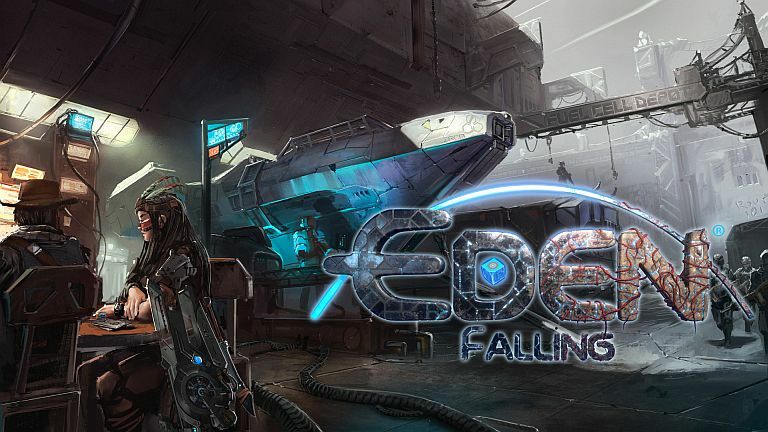 Players can receive news and updates by joining the official forums at http://razoredgegames.com/forum, and on Facebook at https://www.facebook.com/EdenFallingGame/. Player feedback will shape the game as it evolves, so fans are encouraged to follow and interact with us. We strive for originality and to push the envelope on what is possible in today’s world of gaming. Delivering a quality product that is fun and entertaining is our main focus. We week to make sure the games that we create bring people together and leave them with stories they will share for a lifetime. More information can be found at http://razoredgegames.com.